Home > News > Design Inspirations from Nature, Relevant to POS? The modern marketplace has become more environmentally friendly. Some examples of this include the success of green bonds in the market, the increased use of renewable energy, and to close on a more familiar note recycling rates in the UK are 44.3 percent as of 2015. Environmentalism has become a part of several industries as green businesses grow and expand. This focus on environmentalism has further filtered down into the traditional marketplace with a greater focus on natural products, organics, and the like. This has lead to companies not only producing environmentally friends good and services but also designing marketing campaigns around these concepts. 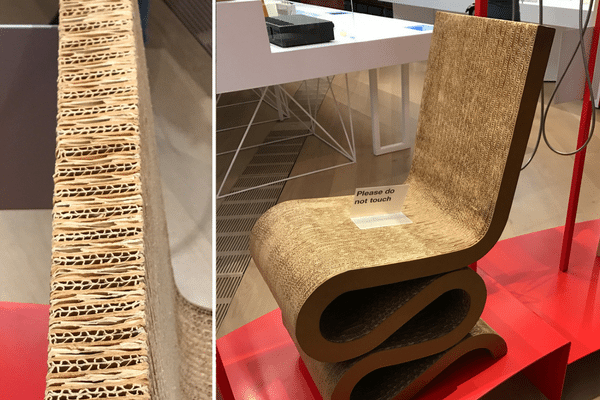 One of the best ways to match your design concepts with environmentally friendly products is to take inspiration directly from nature. With 'green' products becoming a key part of the market it's important to understand how to design POS and POP around them. When discussing nature based designs with clients there are several ways you can frame such a discussion. If a client is selling a product that is considered green, eco-friendly, organic, or any related product then drawing from nature as a design concept for both POS displays and overall product marketing can be a very effective strategy. When discussing POS or POP display ideas remember green marketing and design is a concept going over a decade. Environmentally friendly products are a well-established part of the marketplace and a very successful one. From a design, perspective discuss with a client how natural designs thematically make sense of their products and promote what it's about increasing customer interest. The natural world offers a wealth inspiration you can draw upon for design concepts and ideas. Study Nature: when studying nature for design ideas take a close look. Make note of the texture of things such as tree bark and the contrast of colours such as greens, browns, and greys. Consider Variety: that natural world covers a wide assortment of different plants, animals, and environments. Don’t be afraid to think outside of the box when researching inspiration. Also don’t overly focus on plants animals and natural structures are also inspiring. Perspective: look at the natural world around you from several different angles, perspectives, and views. You’d never released a finished display after only having viewed from the front, consider all angles. Motion: the moving river, the falling rain, and the beat of a flying bird’s wings all bring unique visual elements. Nature is not a still life be sure to see it vibrant, living, and in motion. Texture, Colour, Contrast: when looking at nature you can take very basic ideas from it to blend it into your design ideas. The texture of stone, the colour of a tree leaf, or the contrast between a storm cloud and the sky can all provide inspiration. Nature Has A Mood: a bright summer and a cold snowy winter all produce a different feeling in a person. Keeping this in mind the elements of nature you use as your design inspiration can invoke different emotions depending on your source. Lastly, don’t forget to draw on other fields that make use of natural designs as many of these ideas can be modified for sales and marketing. As the above shows, natural designs are an important part of current marketing and sale display designs. Finding inspiration can be difficult that’s why outside viewpoints are so important. 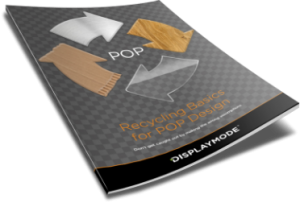 Our newsletter explores popular design trends, gives valuable hints, and talks about best practice for design in the POP / POS display industry.